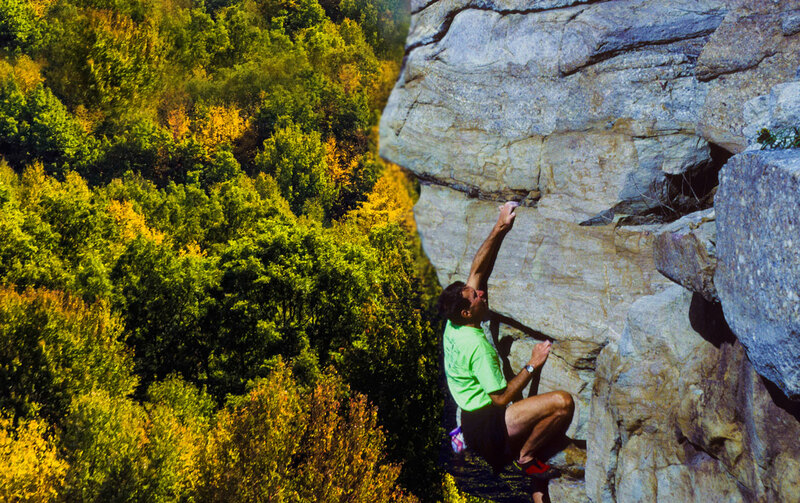 When you think of places to climb in northeast Pennsylvania, what immediately comes in mind are Stony Ridge, Mocanaqua, cool days climbing at the Library, or basking in the sun at Paradise Rock. There is even a recent buzz about a newish crag in Tilbury. 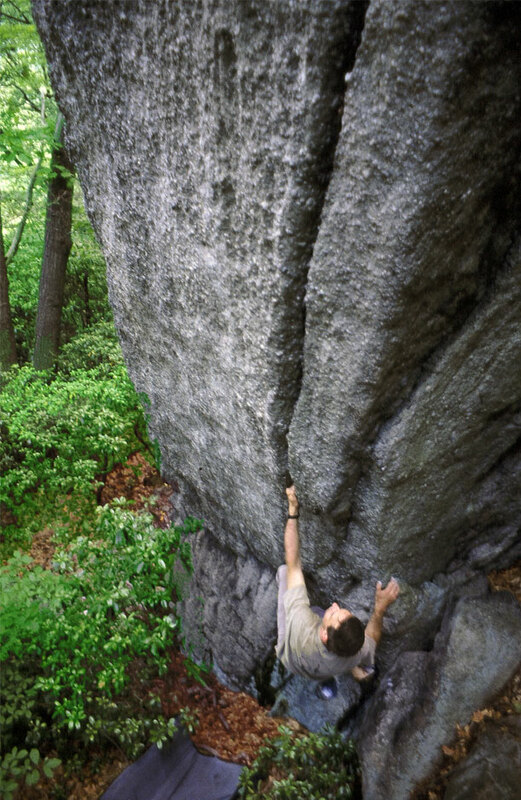 One of the overlooked rock climbing gems in the northest Pennsylvania region is an area for climbing in Scranton. Scranton, Pennsylvania is not just home to the fictitious (or quasi fictitious) The Office television show, it also hosts some amazing conglomerate crags and bouldering areas. Rock climbing in Scranton is actually fantastic. 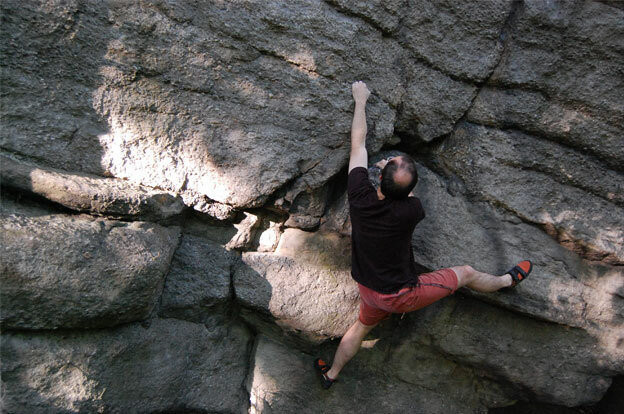 Areas like The Edge, Morgan Highway, and Montdale Climbing Area are places you should defiantly check out. This is the first in a series of articles on bouldering and rock climbing areas in and around Scranton. Despite the release of the newly published Montdale Guidebook App, Montdale is still a pretty low-key crag. It's a small area but if you are looking for a tiny version, and I mean really tiny version, of Peter's Kill, this is the spot. This area only holds a few dozen routes but the rock is nearly the same as some of the climbs at Peter's Kill climbing area. Again this is a much, much lesser version after the Guns ridge disjoints and forms similar ridge-lines that exist in NEPA. Although this area is small and the quality is no where near as superb as the nearby Gunks, a small 100 foot high cliff with trad lines awaits the climber interested in visiting the Montdale crag. The bouldering in Scranton is also excellent. Some argue the best in Pennsylvania but lets be real; there are so many places to boulder in PA you can't possibly even narrow it down to the best. Some excellent areas are The Traxx Bouldering area, The Trenches, and of course Montdale. One of the best and most unusual boulder problems, as well as one of the Northeasts best boulder problems is Finger Locking' Good, a V7 with crazy locks in a steep crack. Bulls on Parade is also a must-do classic traverse up a rising, pebble-coated, rail. There is an equal amount of both trad climbs and boulder problems at this area. Again this is a really small climbing area but if you mix this area in with the dozens of other crags and bouldering areas in Scranton you can have excellent weekends climbing at all kinds of different areas. 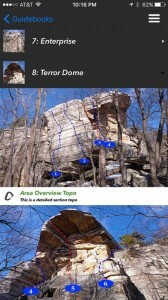 The Montdale Guidebook App is the best and only resource on all the routes and boulder problems at Montdale. Other Scranton crags will be posted on Next Ascent soon. The guidebook offers full route descriptions, GPS, maps, history, first ascent information, grades, and everything you need to visit this unique and secluded climbing and bouldering area right in the Scranton metro.